This is my very first time Stand Up Paddle Boarding, can I join the tour? Absolutely! Before we launch, I’ll give a demo on the beach and answer any questions. Learning in smooth water with minimal wind is optimal, so I will always keep an eye on wind conditions and choose the best location to get you started. Once you’re afloat, you’ll be surprised how quickly you adjust (with a few deep breaths maybe!) and before you know it, you’ll be so distracted by the striking scenery, that you’ll be putting in perfect paddle strokes and balancing nicely on the board. Once you’ve grasped the basics, I’ll be right alongside you to help improve your paddle technique and build your confidence. This year we have a brand new fleet of Red Paddle Co paddle boards which have been meticulously chosen to accommodate both beginners and advancing paddlers. Red Paddle Co boards are by far the most advanced inflatable SUP's in the world, they are stable, rigid and responsive, so straight away you’ll be off to a good start. We offer Roxy and Quiksilver wetsuits for cooler days, you just need your swimwear underneath. During the summer months, on our river and lake SUP, you will unlikely need a wetsuit. However, we advise wearing a long-sleeved t-shirt over your swimwear for sun-protection, along with a sun hat, sunglasses and sunscreen. YES! You do not have to be an amazing swimmer, but you must be able to swim back to your board and climb on if you fall off. If you are not very confident in the water, but you can keep yourself afloat, we recommend booking a SUP tour at our beautiful lake first and see how you get on. We will also be happy to book private sessions at the lake, which is great for families with children or those looking for one-to-one tuition. No matter your age, ability or experience, Stand Up Paddle Boarding is a great water activity for everyone. The real beauty in SUP is the versatility it offers. If you are not quite confident enough to take to the coastline straight away, our stunning lake is the perfect setting to take as much time as you need and slowly familiarise yourself with the board and balance. 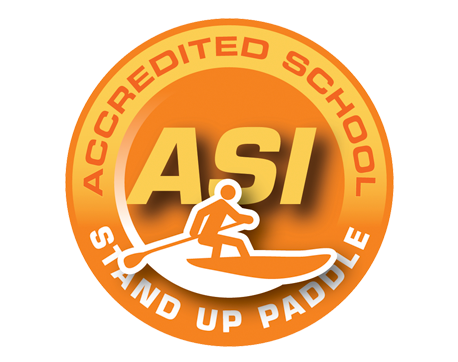 For coastal SUP tours, children must be physically able to paddle themselves for the duration of the tour and they must be able to swim. The Lake Bravura is the ideal place for a family SUP experience and you can also book this as a private tour for your family. CAN WE VISIT THE CAVES OTHER TIMES OF DAY? From May through to October, we only visit the caves at Sunrise. 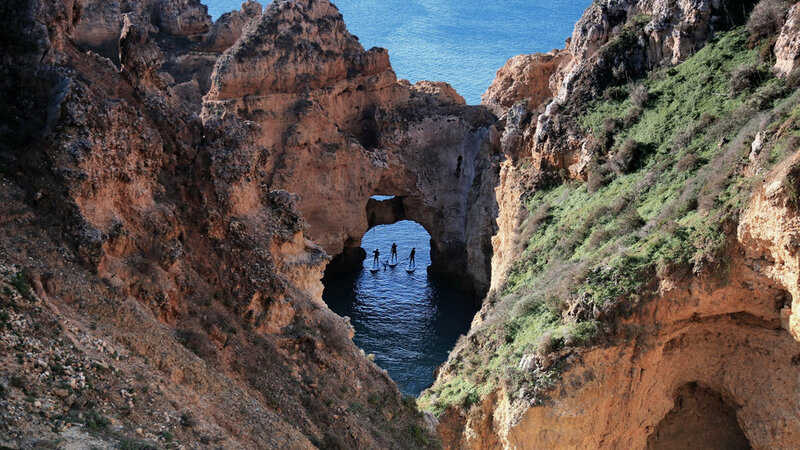 This is the ULTIMATE time of day to see this spectacular coastline! The colours are sensational, the sea conditions are calm and we have the ocean to ourselves! 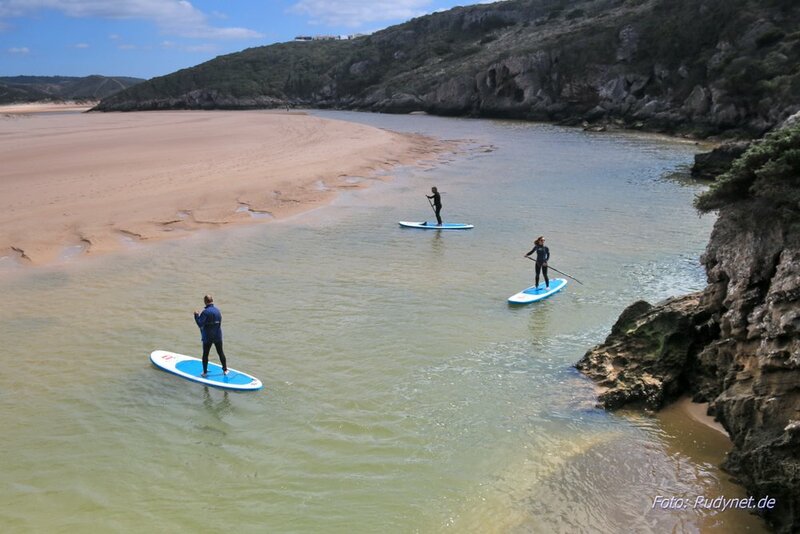 The only way to see what we are talking about, is to book our Sunrise SUP!